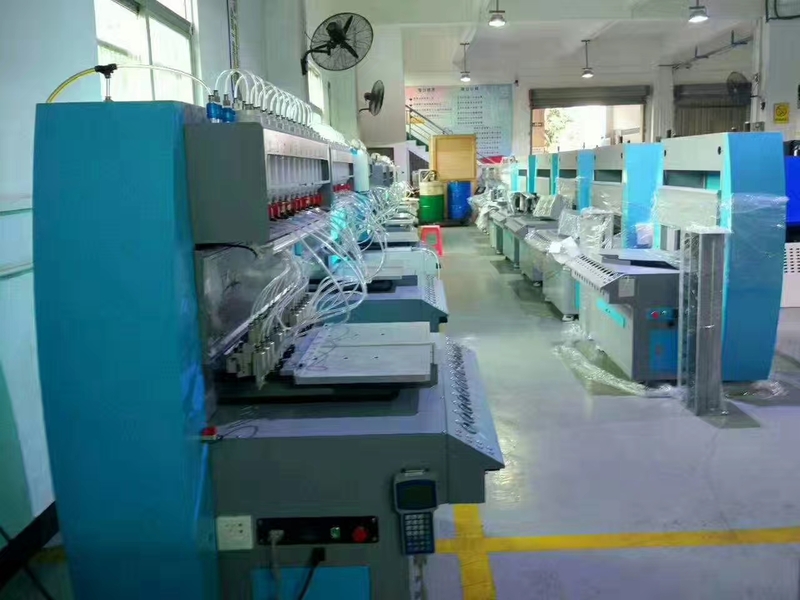 Zipper Making Machine is used for the soft PVC product, such as: Photo frame/ key chain /luggage tag /key covers / lighter covers/mouse mat/ hair clip/ brooch/ mugs/ refrogeratory magnets/ coasters/ bar mat/ table mat/bottle opener/ antislip mat/ door card/ USB flash disk cover/ card reader cover/ mobile phone straps / mobile phone holder/mobile cleaner/ mobilephone cover/ file clamp/ pen container etc. Our machine can make many kinds of produc, shoes, bags, lanyards, wrist band, pvc rubber patch, keychain, photo frame, car mat, zipper puller and so on. We use seaworthy wooden case packaging machine for marine transportation. The machine will be wrapped in two layers of plastic film to reduce damage in transit. The first layer is the bubble film, reducing the physical damage cause by the collision. The second layer is waterproof plastic film, reducing the impact of marine water vapor, resulting in rust parts. 5. tis machine can produce the max specification of the machine is 30*30cm. can complete common trademark and craft. 6. compared with other simple machine, this machine can produce the products over 50% occupy the maeasure of area is small, save electricity save labor produce is high, save raw material. that means save cost. it have high competition. 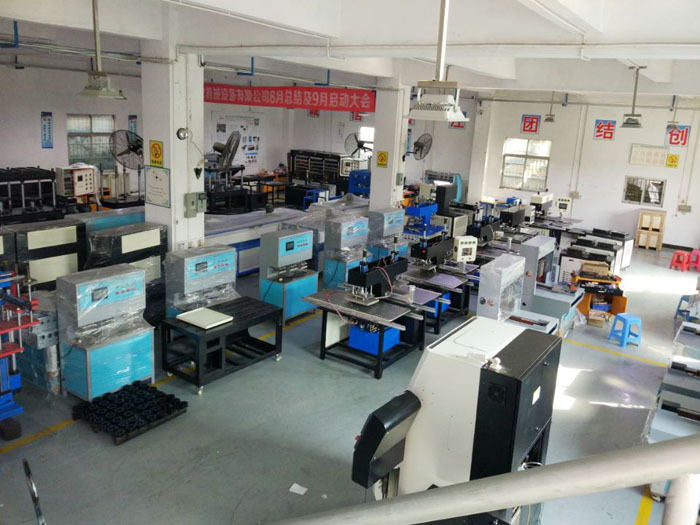 Dongguan Jinyu Automation Equipment Co., Ltd. is founded in 2000, located in Xiangdong Industrial Area, mainly dealing with silicone, PVC trademarks gifts making equipment. As to reduce the environmental damage, we found silicone silicone industrial, it is environment protection and no harm to human, it is the best choose. Jinyu researched and developed full automatic dispensing machine, special silicone&rubber dropping, full automatic vulcanizing machine, is the best foundation of the industrial, Jinyu equipment have the features of labors saving, save electricity, saving management. Jinyu company sincerely forward all the regular and new customers visit. A: We are industry and trade integration. A: Generally for 25 days delivery. A: We provide free training from 2 to 3 weeks. A: We can produce customized products for you. 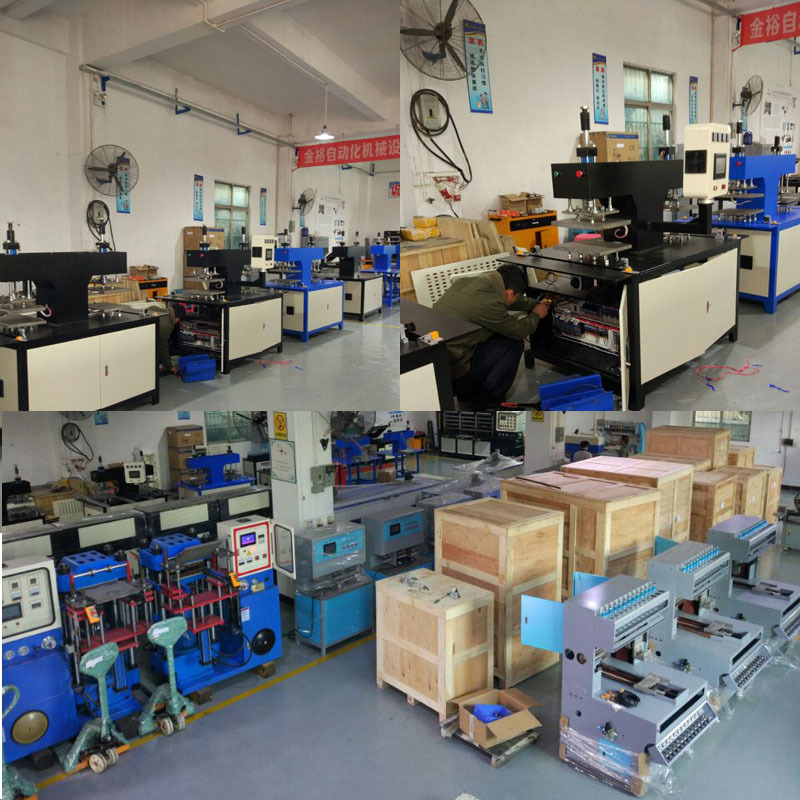 Q: Why you choose Dongguan Jinyu Automation Equipment Co., Ltd.
A: We have independent research and development of products, enhance mechanical efficiency every day. Dongguan Jinyu Automation Equipment Co., Ltd. is founded in 2000, located in xiangdong industrial area, mainly dealing with silicone, pvc trademarks gifts making equipment, in a short few years, from guangdong pearl river delta to whole coastal area of China, the area of Zhejiang and jiangsu and some inland cities, silicone products had been sold all of the world, jinyu equipment is all over this industrial, jinyu got the industry`s highly recognized. As to reduce the environmental damage, we found silicone silicone industrial, it is environment protection and no harm to human, it is the best choose. 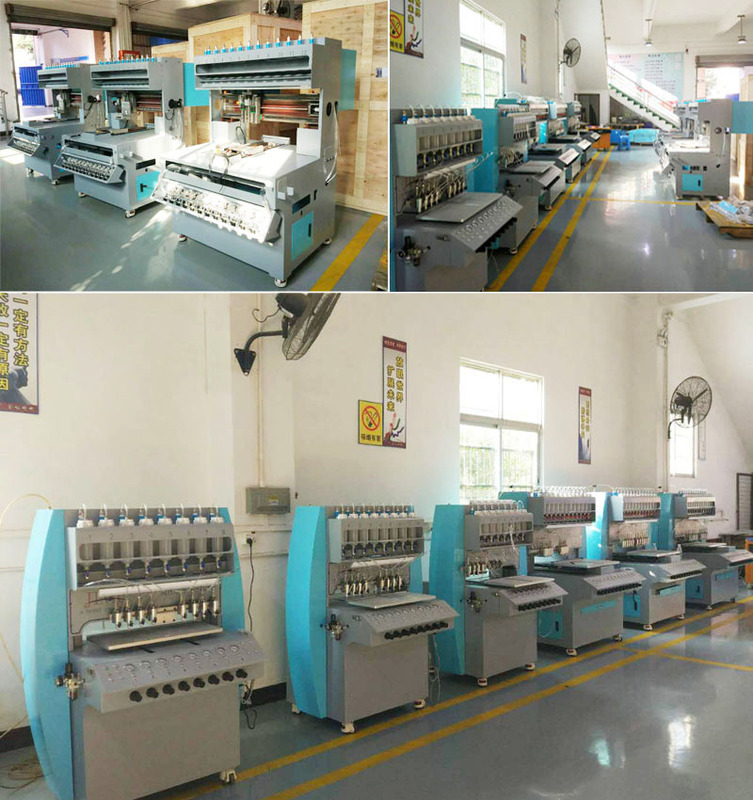 Jinyu researched and developed full automatic dispensing machine, special silicone&rubber dropping, full automatic vulcanizing machine, is the best foundation of the industrial, jinyu equipment have the features of labors saving, save electricity, saving management. Jinyu company sincerely forward all the regular and new customers visit, let us grow up together. 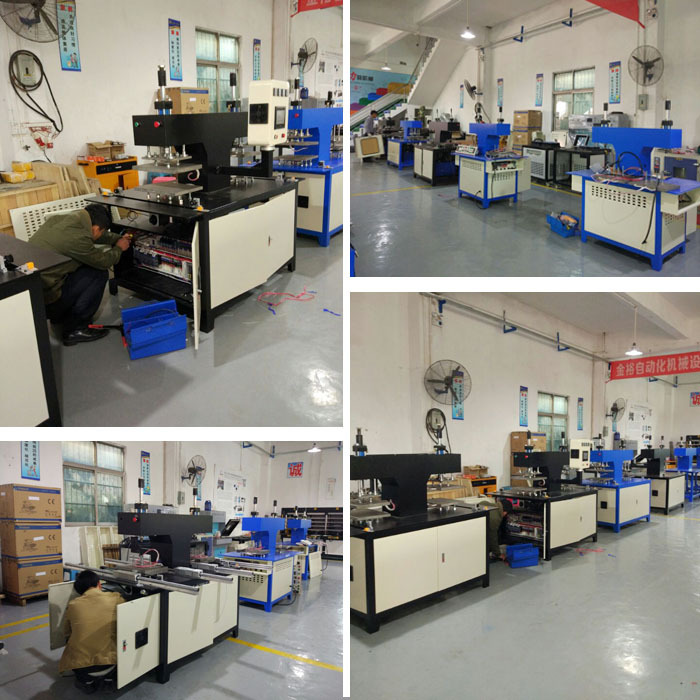 Company Name: Dongguan Jinyu Automation Equipment Co., Ltd.